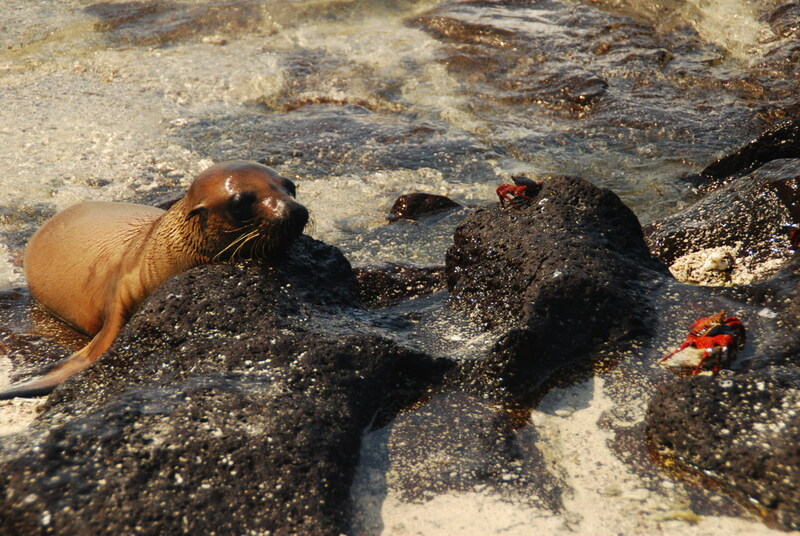 I have to admit that sea lions weren’t at the top of my list of animals I was looking forward to seeing in the Galapagos. Before we came, they seemed so, well, ordinary. They’re at every zoo and aquarium in the world, and it’s not rare to spot them in the wild. 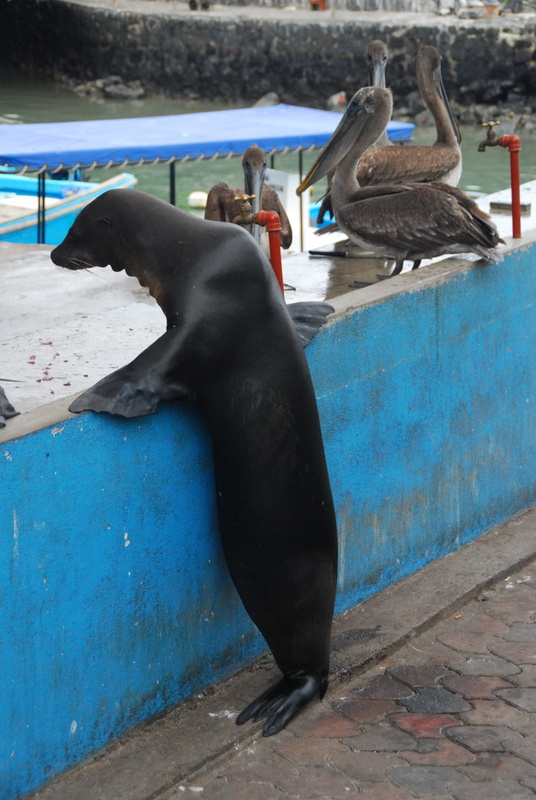 Practically any wharf has its share of sea lions begging for food from the fishermen. 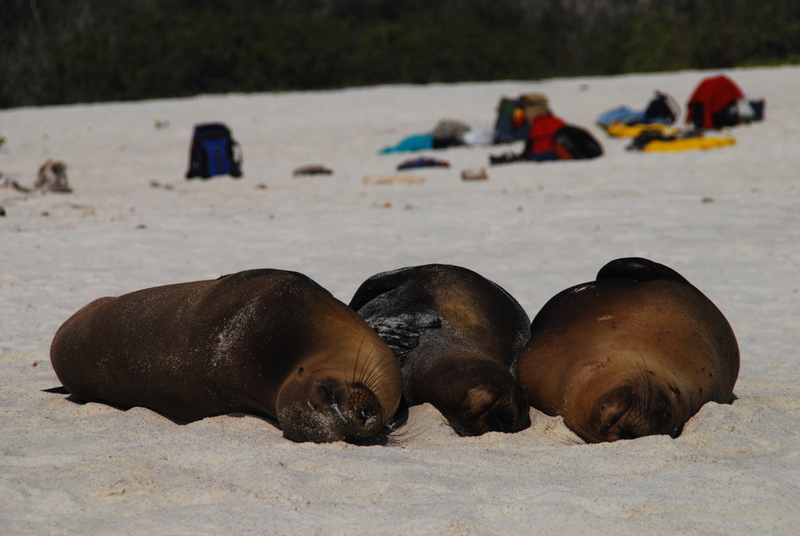 But once we made it to the Galapagos, it didn’t take long for the sea lions to change my mind and quickly become one of my favorites. 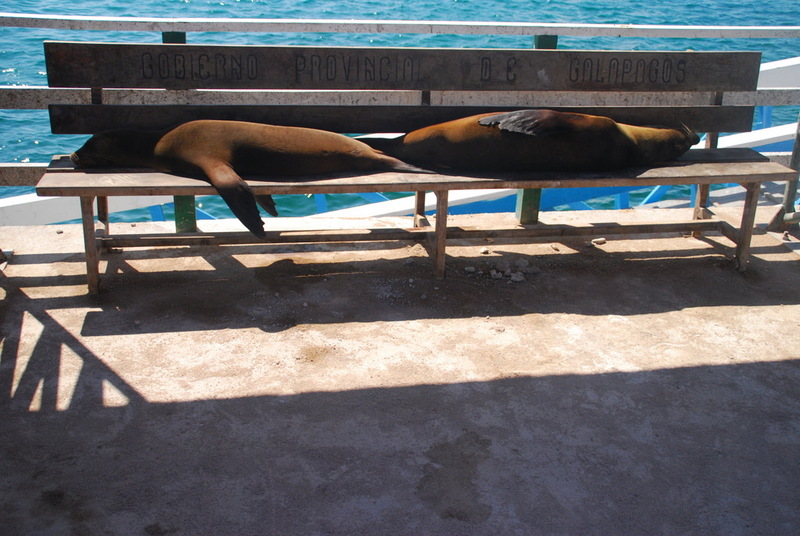 At the port, as we waited to board our boat for the first time, the sea lions lounged on the benches, lazily opening an eye to survey us, as we snapped way too many photos, excited to be in this wildlife wonderland. 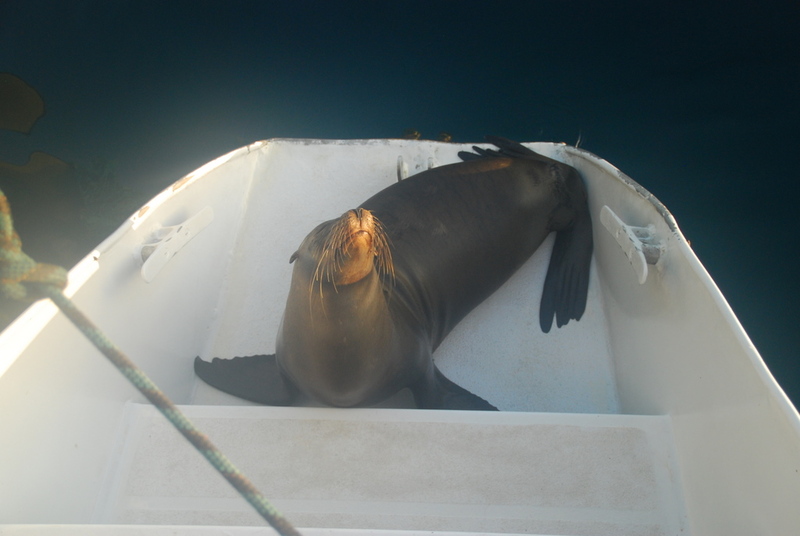 On the first morning, we woke to find that sea lions had decided to join us onboard our catamaran, and they amused us through breakfast as they’d jump off the deck for a swim and then haul themselves back up, non-paying but most welcome passengers. 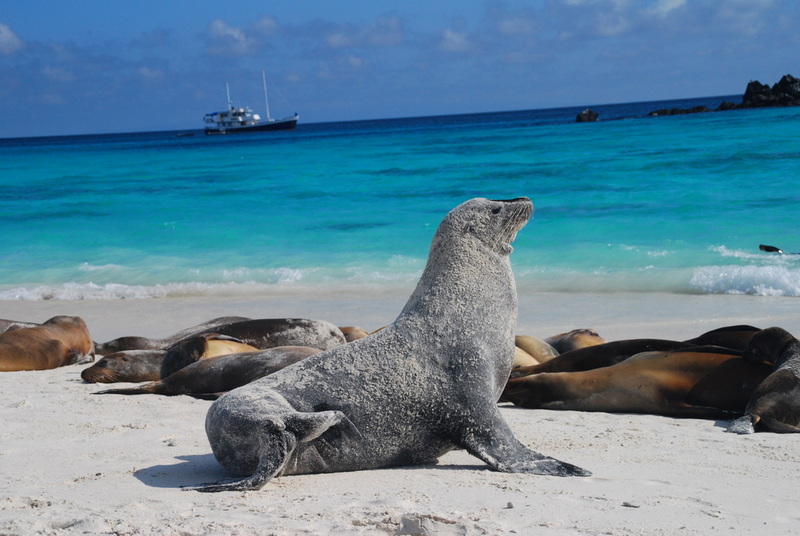 With nearly every landing, we were greeted by a committee of sea lions that would surround the boat. 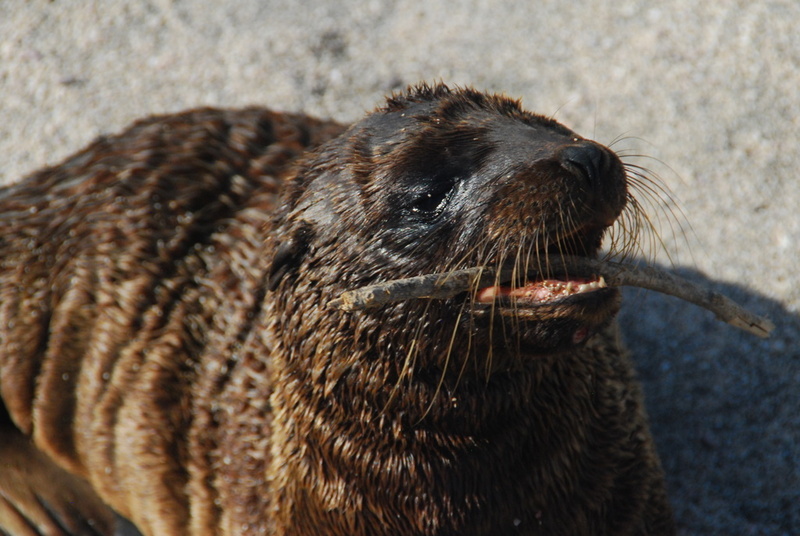 The beachmaster male would bark to let us know that he was boss, but then would always let us pass without trouble. 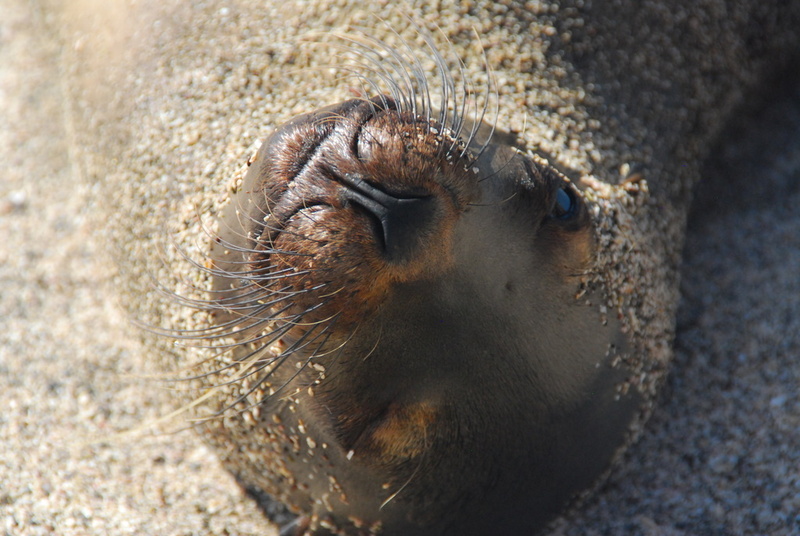 Once on shore, we received a cacophonous welcome as the sea lions communicated with noises that sounded like they had serious cases of indigestion. 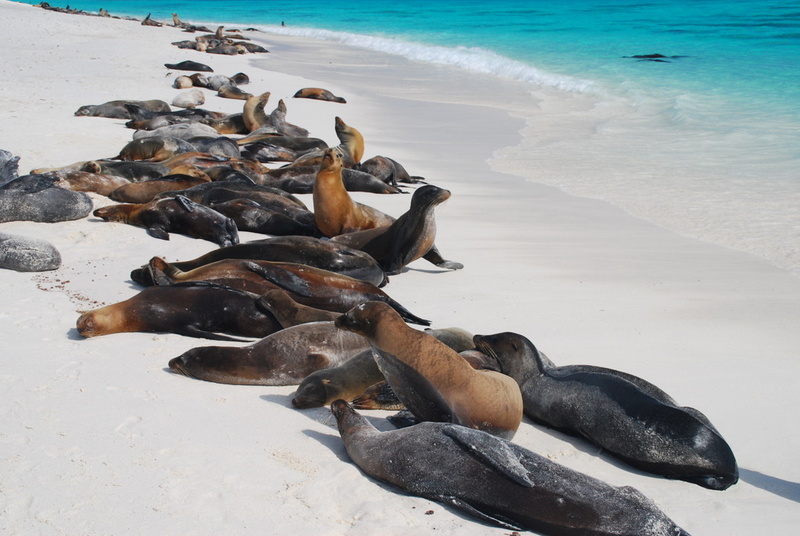 For our entertainment, they would lie right at the edge of the surf and roll with each wave or literally ride a wave in from the ocean to the sand. They’d log roll themselves along the beach until they were covered in sand, or for sport chase an iguana or crab. Sometimes they’d just wave a flipper or stretch into a picture perfect pose. Most endearing were the many, many pups, which didn’t think twice about coming up to us to nibble on our shoelaces or squeeze between our legs. 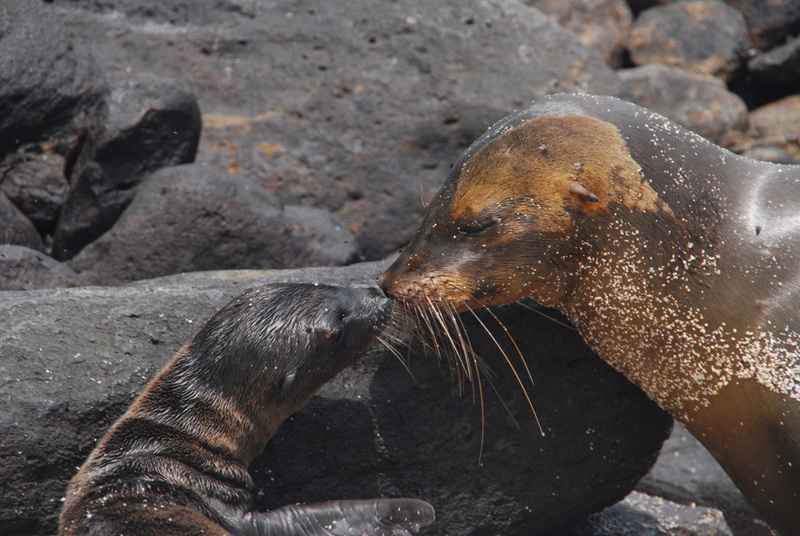 Though I don’t think it’s possible to be in a bad mood in the Galapagos, if you were, one look at these pups and you’d have a smile on your face. 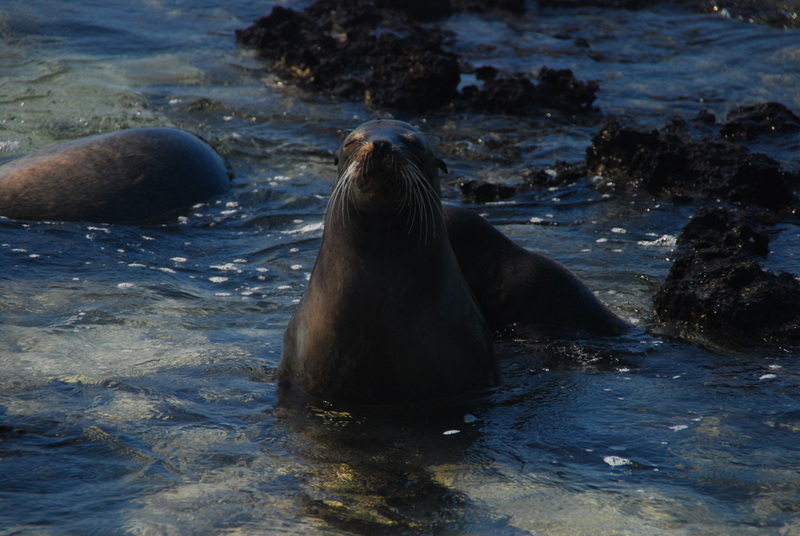 And nearly every time we dove into the water for a snorkel, the sea lions joined us. They’d buzz past us quickly, moving with complete grace. They’d swim slowly under us, checking us out as we checked them out. Or too lazy to move from the rocks on which they’d perch, they’d only stick their heads in, keeping an eye on us privileged guests as we spent a little time in their home.